I have two build in microphones: one is a standard microphone jack; the other is build in microphone. 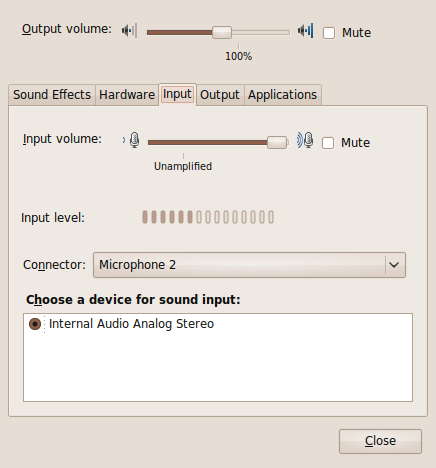 I can see both in the Sound Preferences but input volume control does not distinguish between the microphones (i.e. can not mute one and amplify the other). Could be another duplicate of bug 322909. Please comment or mark it, if you agree.